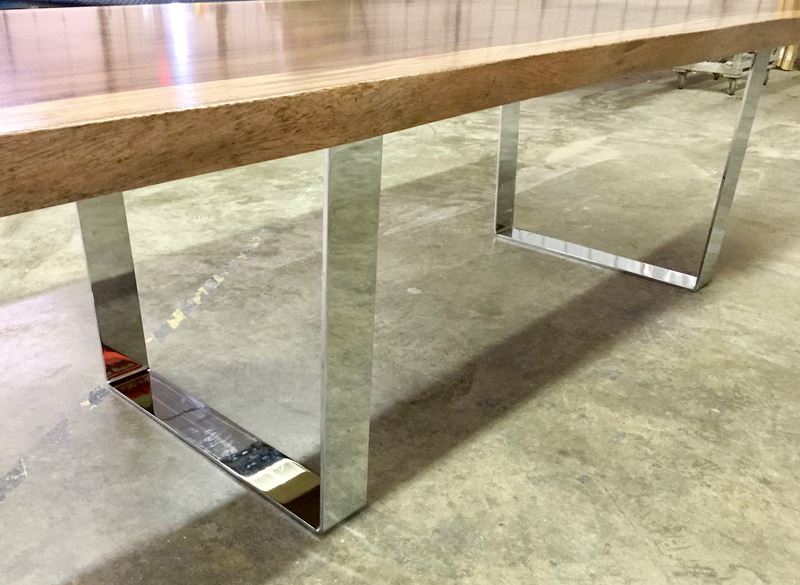 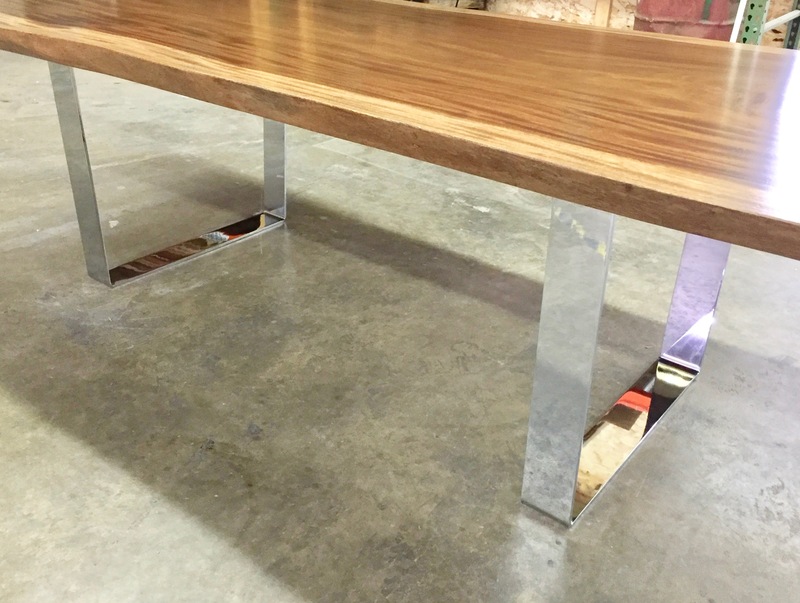 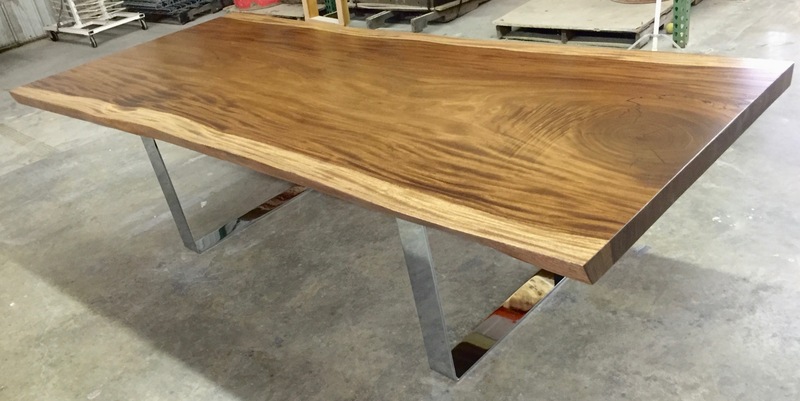 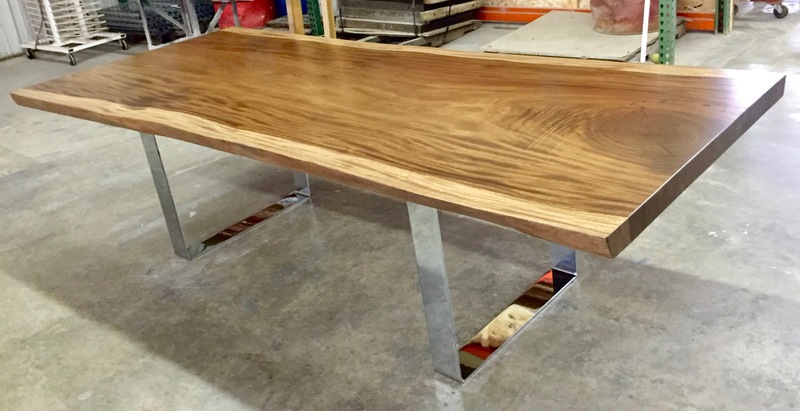 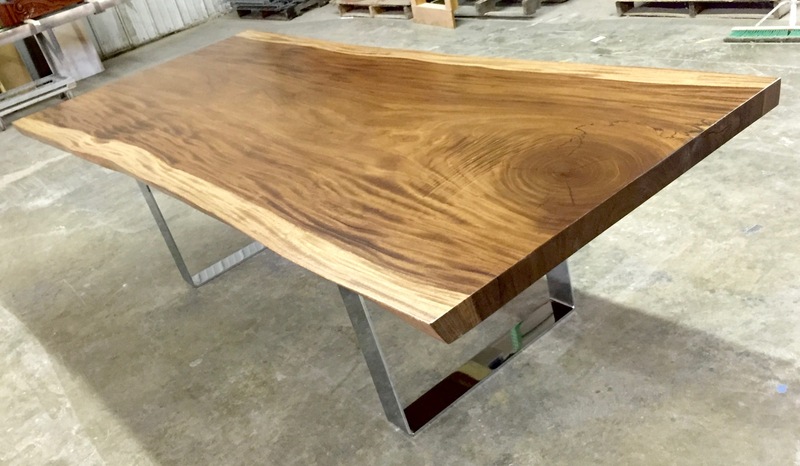 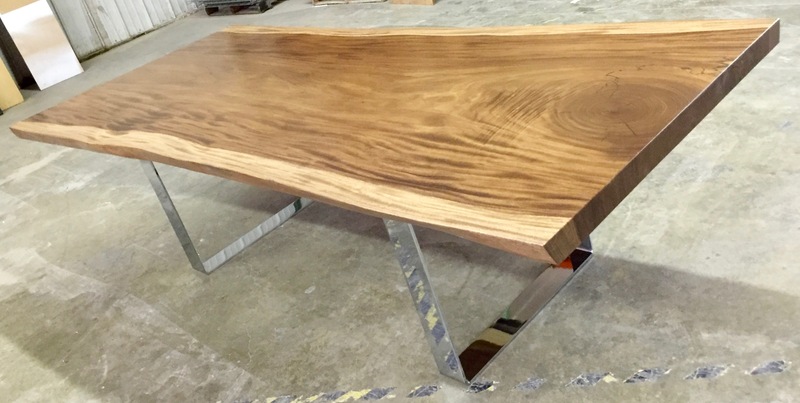 A great reclaimed slab of monkeypod out of the reforestation project we work with in Costa Rica, with our polished chrome U legs made out of a single piece of 3/8" steel flatbar giving it a nice and clean, weld-free modern look to the table. 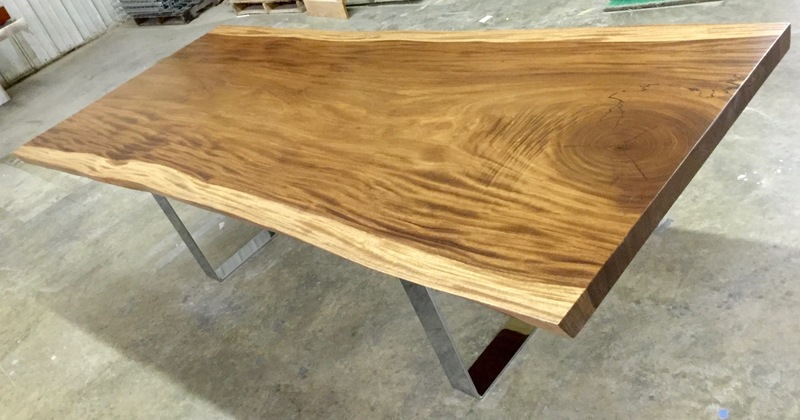 The monkeypod slab has a very light stain on it that the client who ordered and now owns this table wanted in order to reduce - without loosing - the contrast between the white sapwood and the darker brown interior of the slab. 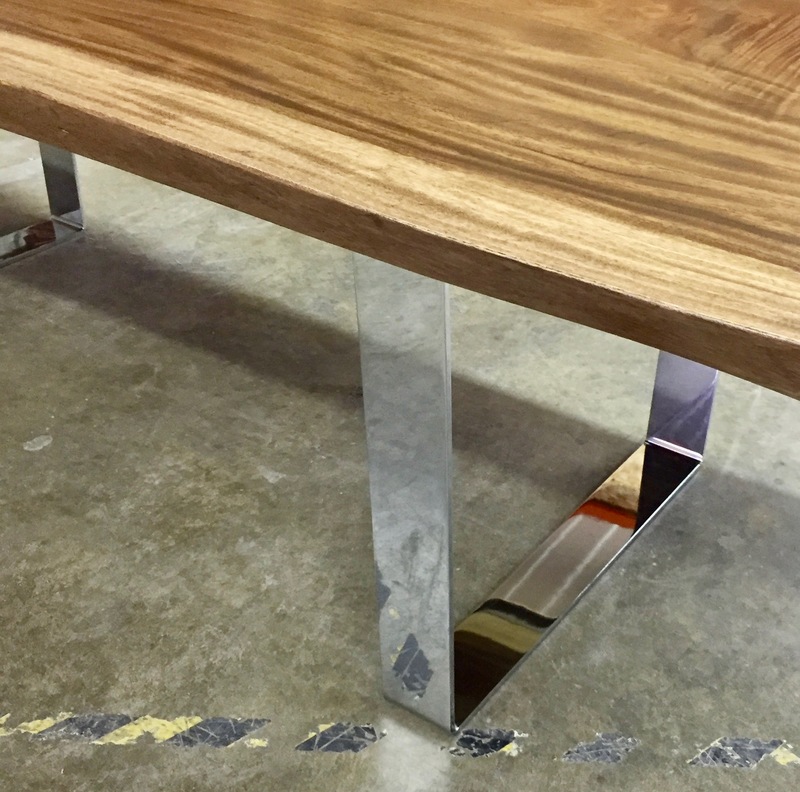 Take a look at our leg section if you want to see other options to go with a top like this.